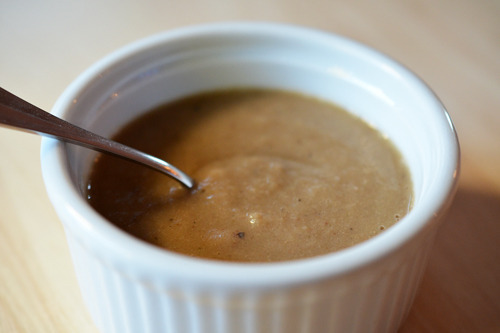 I’ve been wanting to try the herb gravy recipe from Elana’s pantry for a while. 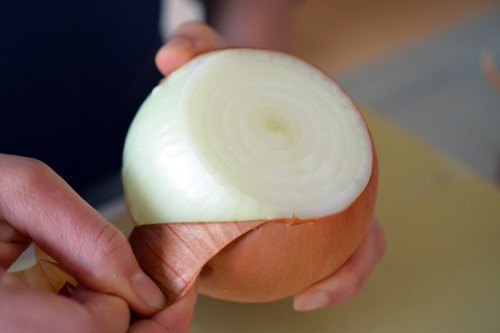 I love that it’s thickened with pureed onions and garlic instead of a grain or something from my old Chem 1A class (e.g. xantham gum). Tonight I adapted her recipe and used what I had in my pantry. I’m sorry but I don’t have homemade stock or organic turkey pan drippings just lying around. Good for you, Paleo Martha Stewart, if you do. 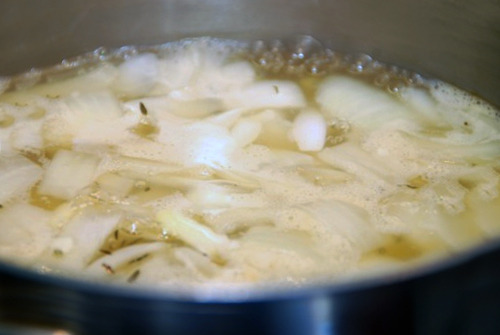 I dumped the broth, onions, garlic, and thyme into a medium saucepan and brought it to a boil on high. Then, I lowered the heat to low and let it simmer for ~30 minutes or until the onions and garlic are really soft. At this point I tasted for seasonings and added salt, pepper, and coconut aminos. Then, I poured everything into my Vitamix (most AWESOME blender ever), added 2 tablespoons of ghee, and blitzed everything until it was uniform. You can also add some heavy cream if you want a creamy gravy. Definitely use 2 or more onions because my sauce was pretty thin. It was really tasty (even with pantry items) so I’m keeping a container in the fridge to ladle onto whatever other meats/veggies I eat the next few days.